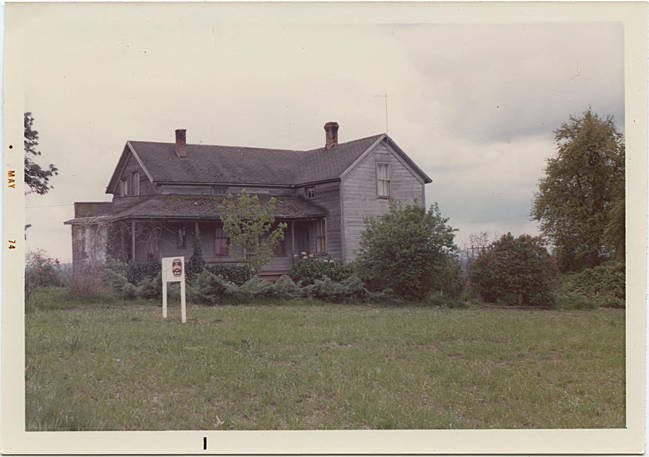 Color image of an unpainted, wooden, two-story cross-gabled house in a field. There is a covered porch around the longer section of the house, and double-hung, single-paned windows in the facades. A television antennae extends up from the front faade to several feet above the roofline, and a white sign in stands in the front yard.